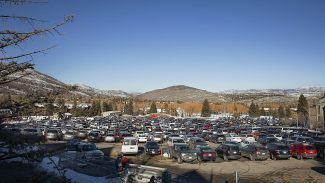 City Hall on Monday unveiled a proposed law that would prohibit a person from reselling lift tickets inside the Park City limits, something that Park City Mountain Resort and Deer Valley Resort have said they support. The Park City Council is scheduled to discuss the proposal at a meeting on Thursday starting at 4:10 p.m. at the Marsac Building. Twenty minutes have been set aside for a City Council discussion. The elected officials are not slated to cast a vote on Thursday. 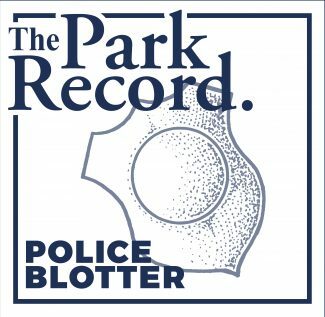 City Hall attorneys who crafted the language want violations to be class B misdemeanors, a wide-ranging level of offense that includes cases like a typical drunken driving charge. Class B misdemeanors are punishable by up to six months in jail and a $1,000 fine. Tricia Lake, the assistant City Hall attorney, said in a report to the elected officials judges "rarely" sentence people to the full extent allowed. "Denying the request would amount to being unresponsive to the local ski resorts’ interest in enacting an ordinance prohibiting reselling ski lift tickets and the City’s interest in continuing to assist the resorts in their effective operations," Lake’s report says. 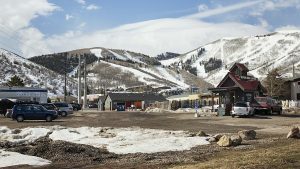 The proposed law’s text includes a statement that says, in part, "there exists a problem at Park City Mountain Resort and Deer Valley Resort for skiers and snowboarders to resell ski lift tickets." It says the two resorts have asked City Hall attorneys "to assist with the enforcement of reselling ski lift tickets." 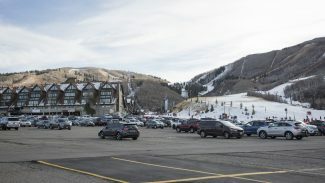 Park City attorneys and the two mountain resorts have been in talks about a law, and the resorts were provided drafts of the proposed rule several weeks ago. Lift tickets sold on the secondary market could cut into the sales at the resorts, prompting the discussions. PCMR has also indicated that its lift tickets are embedded with small chips containing information about the on-mountain privileges that come with that ticket. An official for the resort has said someone buying a lift ticket on the secondary market might not understand what privileges the ticket offers. A law would be in effect inside the Park City limits. Summit County does not have such a law. The report to the elected officials mentions that City Hall staffers have researched similar laws in California and Colorado, and there are parts of the proposed Park City law that are similar. People selling lift tickets on the secondary market could undercut the walk-up prices at the mountain resorts. Some of the lift tickets put up for sale could have been complimentary for fundraising premiums or marketing promotions while others could have been bought as part of coupon books at a steep discount to the walk-up prices.